Valsava device used by Apollo astronaut Buzz Aldrin during his mission to the Moon (Credits: NASA). Among almost the items delivered to the ISS by cargo vehicles such as the ATV, the HTV and the Progress, a small but important device can be found: the Valsava. The Valsava device is a part of astronauts’ EVA equipment and is used when pressure adjustment is needed. 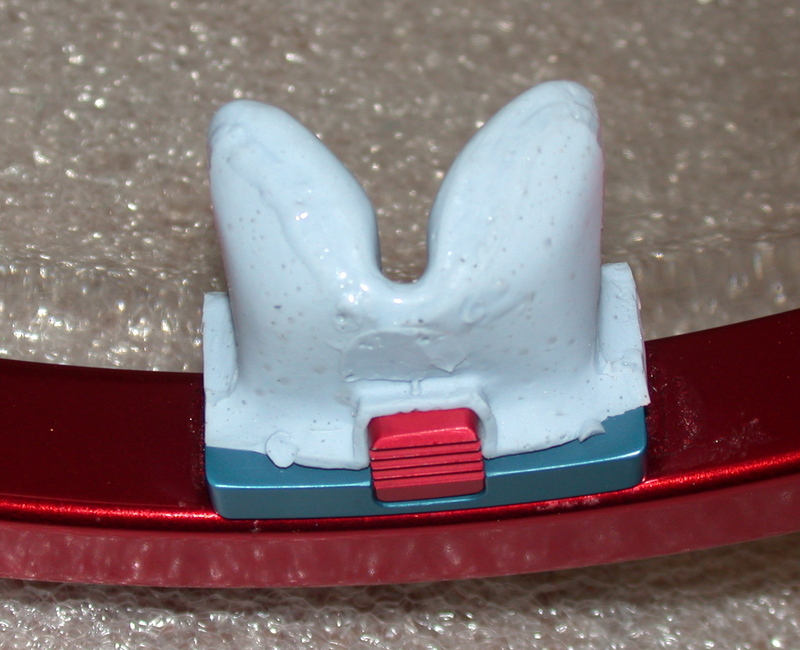 A spongy V-shaped tool, it is mounted inside the EVA helmet and is primarily designed to block an astronaut’s nose. Just as airplane passengers sometimes need to block their noses and blow when their aircraft descends, the astronaut can perform a similar maneuver during preparations or on return from a space walk even with his head inaccessible within the helmet. The negative effect of changing air pressure on the astronaut’s middle ear can therefore be eliminated. The device is designed to block astronaut’s nose when a change of air pressure causes pain in the ears (Credits: NASA). In May 2011, the device proved it can serve multiple purposes when US astronaut Andrew Feustel found himself with a chemical substance in his eye during a space walk outside the International Space Station. A flake of an anti-fog coating had gotten into Feustel’s eye, resulting in tear formation. But in microgravity tears don’t run down one’s cheeks to clean the eye; instead they conglomerate around the eyeball due to surface tension effects. Feustel managed to solve this painful problem by wiggling down in his space suit and rubbing his eye against the Valsava device. He got the tear free of his eye and finished his task successfully. Many astronauts in the past reported using the device to scratch their faces when experiencing an itch during a space walk. The tiny device has been increasing astronauts’ comfort since the 1960s. The animation below shows US astronaut Andrew Feustel fighting his eye problem during a space walk in May 2011. I would hope this article contains a misprint. “Her head” “…even with her head inaccessible…” Referring to all people with his or him is a practice that we should not embrace, especially in the science community. Thanks for your comment, Cheri, and for paying attention to pronouns! I must disagree with your conclusion that one should not refer to all people using the pronouns “his” or “her.” English is devoid of a neuter singular pronoun (barring “it” which is manifestly inappropriate in this context) and therefore we must make do with available options. I find it reasonable to assume readers will know that use of “he,” “him,” “she,” or “her” in relevant contexts refers to individuals of any gender. I prefer not to clutter up clean sentences with the bulky and awkward “he/she” or “him/her.” Therefore, in response to your query: no, this is not a misprint. 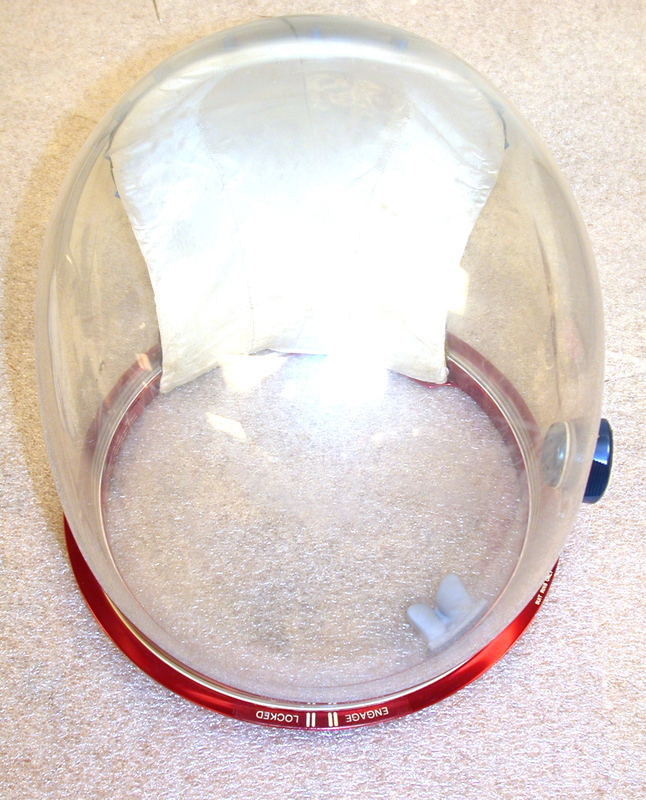 Both male and female astronauts are incorporated by inference in the statement referring to accessibility of their heads when encased in a spacesuit. Astronaut Luca Parmitano on "Fear and Other Demons"